Carolina might not be a legit Stanley Cup contender but they are a scrappy team that brings the intensity more often than not. Their power play isn’t great (16% for 26th in the league) but they’re capable in every other phase of the game. More importantly, they’re healthy and at this stage of the NHL season that can go a long way. As you’d expect from a hard working team that isn’t exceptional in any phase of the game the Hurricanes have been in sneaky good form. They’ve won three straight–all on the road including shutouts of Pittsburgh and the New York Rangers. They’ve also won 5 of their last 6 and 6 of their last 8. The only two losses in that stretch were a one goal loss at home to Calgary and an OT loss at Calgary. With the way that the Flames have played this season that’s nothing to be ashamed of. 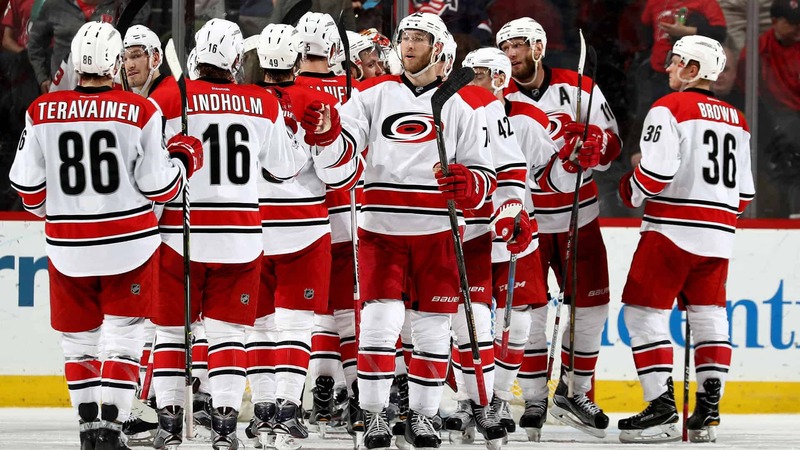 The ‘canes have been in good form since the first of the year–but not good enough form that everyone takes notice. On December 29 they were 15-17-5 on the season. Since then they’ve won 13 of 18 going 12-4-1. Taking points in 14 of 18 games is pretty impressive. More impressive is the team’s work ethic and refusal to pack it in for the year despite a sluggish start to the season. Carolina offers a lot to like in any matchup but particularly against the woeful New Jersey Devils. Ironically, New Jersey had almost the same record as Carolina at the end of 2018. The Devils entered 2019 with a record of 15-16-7 but they’ve gone the other way with only five wins in sixteen games. Every loss except one came in regulation so they’re not even scrapping up points here and there. They’re currently on a 2-6-1 run and their biggest issue is a lack of offensive output. During that stretch they had one ‘outburst’ scoring 6 goals at Pittsburgh. Otherwise, they’ve scored a total of 14 goals in 8 games for an average of 1.75 goals per game. The team’s offense has completely fallen apart with Taylor Hall out with what is being described as a ‘lower body injury’. The Devils have been very hush hush with the true nature of his injury leading to speculation that its much worse than being reported and that Hall might not play again this season. The Devils haven’t exactly gone ‘fire sale’ with the trade deadline looming though they’re not ‘buyers’ either. They let Brian Boyle go to Nashville for next to nothing–you’d think they could use a big, physical forward with Hall on the shelf. Maybe looking toward next season might be the best plan with the Devils 15 points out of the final playoff spot in the Eastern Conference. Some fans are even suggesting that the Devils ‘tank’ the rest of the way in hopes of getting a high draft pick. They did get a second round pick from Nashville in exchange for Boyle but there’s every reason to think that Nashville will go deep in the playoffs meaning that it won’t be a high second round pick. Nothing to like about the Devils right now and if we needed more of a reason to play on Carolina here the scheduling situation favors the Hurricanes. New Jersey lost to Minnesota at home last night while Carolina was idle.